The science, technology and art of lucrative leadership conversations. 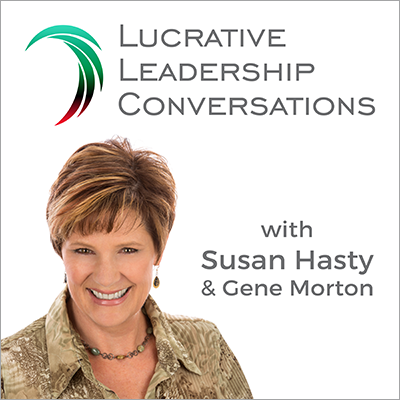 Lucrative Leadership Conversations is a weekly podcast where Susan Hasty and Gene Morton share practical wisdom and actionable advice on how teams can transform their businesses. To get started, we recommend that you listen to our first four episodes below. This will give you the context and foundation you need to get the most out of this program.